Traditional sneakers with high wearing comfort. The traditional sneakers LUITPOLD in a rustic colour present themselves with an upper made of easy-care textile and soft goatskin. The white, full-length sole has a slightly profiled tread in black. 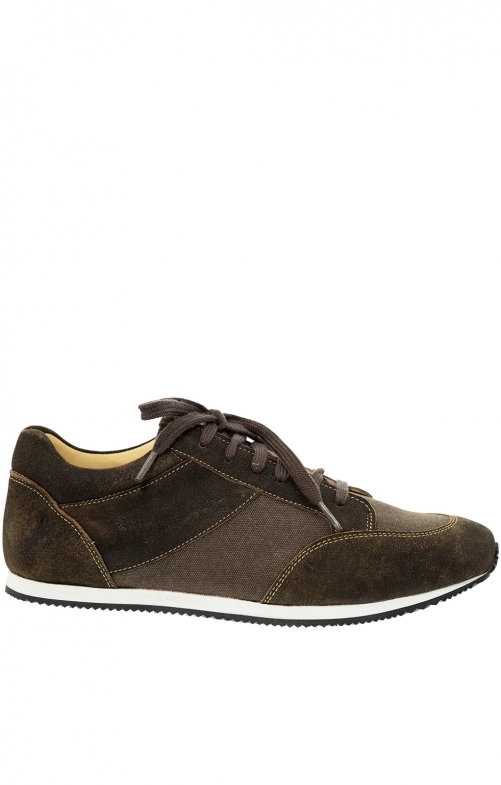 Closed is the brown men's shoe with a lacing, which also corresponds to this colour. The comfortable sneakers are the perfect companion for every day.